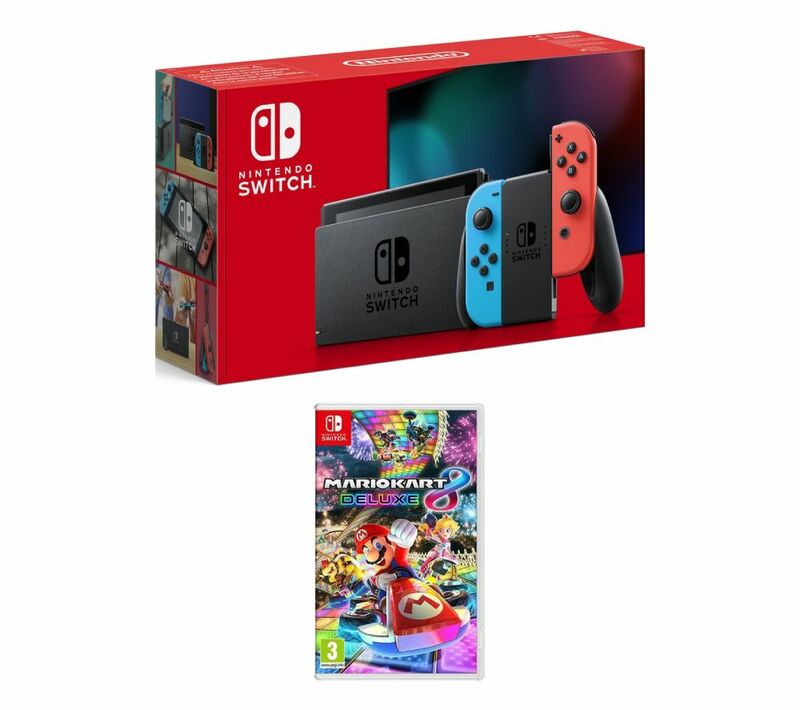 Play wherever you are with the Nintendo Switch Neon Red & Mario Kart 8 Deluxe Bundle. Connect the HDMI cable to your TV to enjoy a traditional console gaming experience, or prop up the stand attached to the back of the device to play games on its built-in screen. 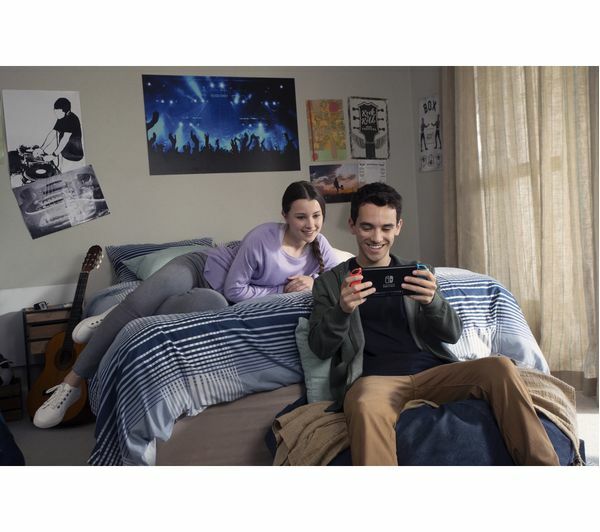 When the times comes to leave the house, you can carry on gaming by attaching the twin Joy-Con controllers to the console and using the 6.2" screen. Enjoy the battles, action, and victory of Mario Kart 8 Deluxe wherever you go with the Nintendo Switch. 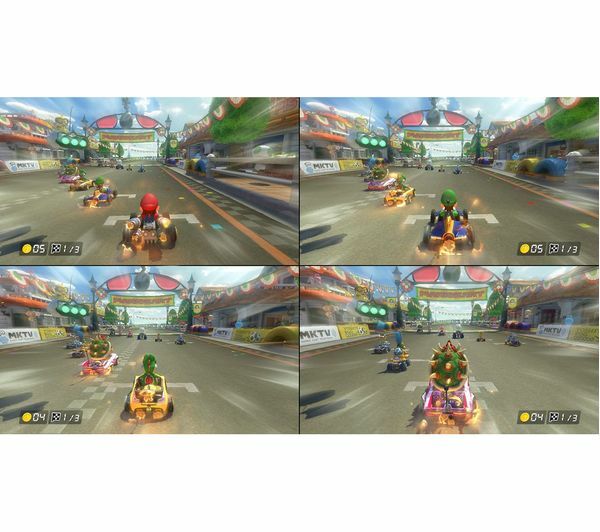 You can play in TV, tabletop, or handheld mode in local multiplayer or online modes. 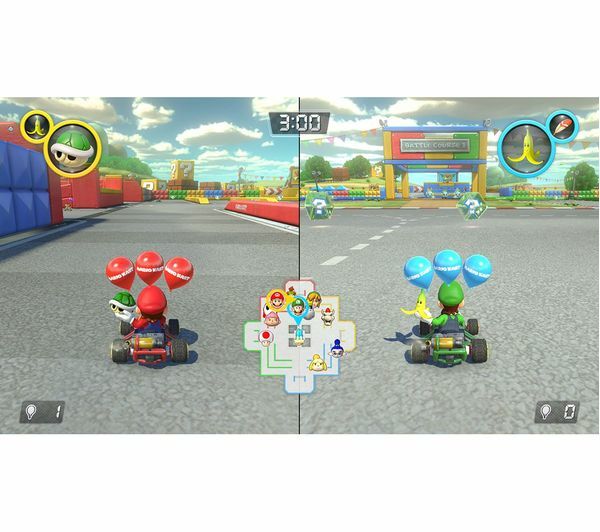 Play with 40+ characters, including original favourites Mario, Luigi, Toad, Yoshi, and Bowser, or jump in with new faces like King Boo, Dry Bones, and Inkling Girl and Boy. There are 48 courses over 10 cups to battle on, from Mario Kart Stadium to the infamous Rainbow Road, and a host of former tracks like SNES Donut Plains 3, N64 Yoshi Valley, and GBA Cheese Land.